Though the Netflix series The Crown about Queen Elizabeth II and Fox’s Pitch might seem worlds apart, both respectively pull back the curtains and demystify the figures, traditions, politics, and rituals of Major League Baseball and British royal sovereignty. 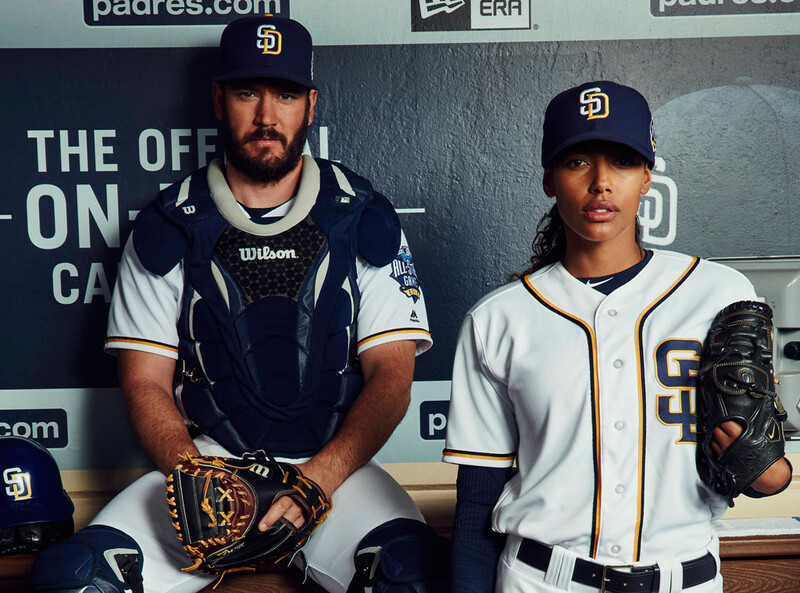 Pitch follows the improbable rise of Ginny Baker (played by winning newcomer Kylie Bunbury) as the first female player/pitcher in Major League Baseball (MLB), as she breaks in with the San Diego Padres. While the writing doesn’t quite live up to the Aaron Sorkin-type of smart, clever writing it obviously aspires to, the characters and storylines are nevertheless compelling and watchable, if occasionally soap operaish. What particularly makes the series work is the high production value and the support and participation of the MLB itself, as well as several sports shows and personalities, which all lend authenticity to the show. Having attended several games the last couple of seasons at the Padres’ very photogenic stadium, Petco Park, it’s a delight to watch them film in and around the venue. And while much of the series, of course, rests on the shoulders of Ginny Baker as she struggles to transition into pro ball under the glare of the social media microscope and 24/7 news cycle, it also provides a fun look at other aspects of the game (and business), making it as much like Moneyball, the book and story that told some of the story behind the business of baseball and the complexities of trades and contracts, as, say, 42, about Jackie Robinson’s breaking of the color barrier. It helps that the show has a quality deep bench of a supporting cast, including Mark-Paul Gosselaar (from, of course, Saved by the Bell) as team captain/catcher Mike Lawson, who is near the end of his athletic career; Ali Carter as Baker’s agent; Dan Lauria as the manager; Mark Consuelos, as the general manager; and Bob Balaban as the team owner. While the story deftly mixes in soap opera, humor and sexual tension, it also provides a behind the scenes look at the business, superstitions and rituals of baseball, like the wheeling and dealing involved in waiver deadline trades, baseball clubhouse kangaroo courts, and the superstition of not talking to the pitcher while a no-hitter is in progress. Last I heard, Pitch was struggling in the ratings and a second season was still up in the air—in retrospect, I can see why. While I’m sure the producers would like to assure everyone that the show is for anyone who just likes good story and the show definitely works at that level, it’s not clear whether baseball fans are interested in a fictional behind the scenes look at the sport (or interested in an alternative world where a woman is called up to the MLB), nor appeal to television viewers who otherwise have no interest in sports and baseball. At the end of the day, the show is a “workplace” drama(dy?) that happens to be set in baseball. But whether or not the network will be able to successfully market it that way remains to be seen. So, for now, enjoy it while you can! 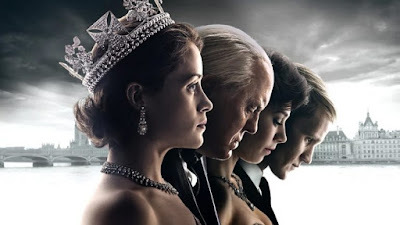 I have to say, although The Crown received great reviews when it dropped on Netflix (reportedly their most expensive production to date), I found the first episode a bit boring and not very compelling. While the first episode was clearly intended to provide you with a context for Elizabeth’s ascension to the throne by introducing key figures— particularly her father, George VI, portrayed by Jared Harris—the characters felt distant and opaque, contrary to what the reviews led me to believe. I’m glad I stuck with it, however, because the series definitely improved with each episode and was definitely binge-addicting. The characters quickly came out of the shadows, with flashbacks to provide backstory and context. The series plans to cover Elizabeth’s full reign and the first series covers the first 10 years. It is not a fully detailed chronological history; instead, each episode hits on the touchstones, personalities and incidents that played a role in Elizabeth’s growth and development as sovereign. Though I'm hardly a "royal watcher," I always have been fascinated by stories that demystify formal protocol and tradition, as well as power and authority, so watching how Elizabeth is treated differently as Queen—and how she tries to modernize the monarchy while retaining the traditions and dignity of the crown—is right up my alley. Of course, there also is plenty of political and family intrigue along the way, which gives the series an opportunity to focus on some of the other colorful figures of the period, most notably Prime Minister Winston Churchill and Prince Edward, Duke of Windsor, formerly King Edward VIII, whose abdication to marry the American divorcee Wallis Simpson led to the ascension of his brother, George VI, whose somewhat premature death would open the door to Elizabeth II’s assumption of the throne. Indeed, both figures have episodes devoted mostly to them. A little prior to The Crown hitting Netflix, another film featuring Elizabeth, A Royal Night Out, also was made available on the platform through streaming. The film follows the adventures of Princess Elizabeth (“Lilibet”) and her sister, Princess Margaret, as they get permission to celebrate incognito in public among the hoi polloi for the night on VE Day (Victory in Europe, May 8, 1945, the date Germany surrendered to the Allies, thus ending World War II in the European theater). In the story, the girls become inadvertently separated, with Elizabeth catching up with an airman and Margaret with some individuals of rather low repute. Though the story is a light confection (and, apparently, completely fictionalized from what the princesses actually did that night), what makes it noteworthy are the winning performances of the well-cast Sarah Gadon as the young but sensible Elizabeth and Bel Powley as the flighty, somewhat goofy “P2,” Margaret (Margaret is portrayed in a much kinder, sympathetic manner in The Crown, as a somewhat tragic figure, while here she is more comic relief). I’d be hard-pressed to say whether Gadon or The Crown’s Claire Foy is the better Elizabeth, but you can’t go wrong with either! Like The Crown, you get a sense of how serious Elizabeth took her responsibility as monarch in waiting—and as mentioned above, as someone who is fascinated by behind-the-scenes looks at the power of office, like The Crown, there is a fascinating, effecting scene in how everyone’s demeanor towards Elizabeth changes the moment they realized they a member of the royal family is among them.